Welcome to the official website of the Indian Dental Association, the premier organisation of dental professionals in India. IDA's 29 State Branches,7 Union Territories, more than 450 Local branches and 1 Defence branch have a combined membership of over 75,000 dedicated dental professionals. IDA secures the dignity and honour of its members, besides enhancing the image of the profession. Our mission is improve the oral health of the public by innovation in education, training, research, advocacy and related programmes. This translates into a commitment for dental excellence. The association's vision is to improve oral health and quality of life and achieving `optimal national oral health for all. The IDA Times is an authentic and independent official voice of the dental profession in India with a unique role in updating professionals in the dental field. The Journal of the Indian Dental Association (JIDA) is a peer-reviewed scientific journal on original research articles exclusively designed for clinical practitioners. Clinical Dentistry is an independent, scientific, peer reviewed publication aimed at dissemination of significant clinical & laboratory information. In an age witnessing revolutionary changes in dental science & growing patient empowerment, dental products & materials assume tremendous clinical significance. The publication ‘Oral Health’ is exclusively devoted to educating the people on the basics of teeth and their care. Student Digest is a dedicated monthly publication for dental students in the country that covers various educational programmes, news and scientific research. Aimed at helping dental professionals to keep track of important dental events, t​he publication’s main objective is to provide dental professionals. Tobacco Intervention Initiative (TII) is a professionally-led "call to action" programme to eradicate tobacco addiction. Intending for a `tobacco free India' by the year 2020. Child Dental Centre is a dentist-led foundation dedicated to improving oral health of children. CDF was introduced bcoz in India dental caries has a prevalence as high as 60-80% in children. Oral Cancer Foundation (OCF) is a professionally- led “call to action” initiative for a ‘cancer free- India’. Oral Cancer is the number 1 killer cancer in India. Emergency Dental Centre (EDC) are a network of dental clinics equipped to handle dental emergencies. The mission of all emergency dentist 24 x7 clinics is to provide immediate relief. The National Oral Cancer Registry programme is a mechanism to collect and classify information on all oral cancer cases as well as precancerous lesions and conditions. Healing Smiles Foundation (HSF) is an initiative of the Indian Dental Association (IDA) to help children and adults with cleft lip, cleft palate, and craniofacial anomalies. Family Oral Health Card define IDA's objective of optimal health. The program covers entire family providing the best possible dental care. Platinum Oral Health Card ensures that the public has the information needed to achieve optimal oral health throughout the lifespan. Special Privilege Card aims at extending oral care for disabled and mentally retarded people. They are more prone to tooth decay or gum disease. 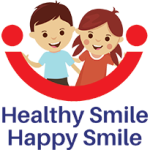 Today schools are aware that oral health is a very important component of general health. Poor oral health negatively affects growth, development and learning, nutrition, communication, self-esteem, and various general health conditions. School-going children are almost totally dependent on their parents or school teachers-for understanding and motivation to help them participate in preventive dentistry or any such oral health programmes. Committed, knowledgeable teachers are the cornerstone of all effective school-based oral health programs. Unfortunately, teachers receive little dental information in their undergraduate training to prepare them to teach the subject. The support of the dental association enhances a programme's credibility, improves the image of the oral health professions, and is a practice builder for the participating dentists. IDA Catalogue offers practical resources to help the dental professionals to communicate successfully with their patients. Key products includes: patient education brochures, wall posters, post-operative instruction cards, consent forms, treatment forms, acrylic stand and personalized products. Oral Health publication focuses on overall dental health issues. It emphasizes on the importance of oral health in general well-being and quality of life. Dr. J P Nadda - Union Minister of Health and Family Welfare talks about Oral Diseases in India at Sushruta Awards 2016. Dr. A.P.J. Abdul Kalam addressing the audience at Sushruta Award 2015.